The New Jersey Legislature raised the state motor fuels tax on 1 November 2016. Â A week later, voters endorsed a measure to dedicate those gas taxes to transportation projects. Â The combination of those events under NJ law makes possible the issuance of $12 billion in Transportation Trust Fund bonds. It was only a matter of time before politicians started scheming to capture some of the billion dollar a year revenue flow from the gas tax increase.Â Steve Sweeney has proposed that the stateâ€™s pension fund invest in Transportation Trust Fund bonds. This is not an original idea. Â The federal government does the same every year. Â The Social Security Trust Fund invests each year in U.S Treasury bonds. At one level, it is simple a bookkeeping entry that shifts funds from one government pocket to another. Â At another level, it is a means of transferring the cost of teachersâ€™ pensions from the General Fund and the stock market to motorists. Thirty-year Treasuries yield about 3.1%. Â TTF bonds will likely yield about 5.0%. Â Stocks, over the long haul, yield more. Â U.S. Treasuries are not a wise long term investment choice for the stateâ€™s pension fund.Â They have the advantage of being very liquid (easy to sell) and are by definition, the lowest risk investment.Â Not so for TTF bonds. Â New Jersey bonds are much higher risk than Treasuries. Â Even at 5.0% yield, they donâ€™t do much for the statesâ€™ pension portfolio. By one estimation method, the state has pension liabilities of $145.8 billion, which leaves the state $59 billion short. Â By another calculation method, the state has pension liabilities of $217 billion, leaving the state $135 billion short. Â No one is perfect at estimating the rate of return on the portfolio or the cost of providing pensions and health care. Â If we assume the real answer is halfway between the two, it amounts to $10,700 per resident of New Jersey.Â If weâ€™re hoping that the stock market will pull us out of this hole, there is no point investing in fixed income securities, whether Treasuries at 3.0% or TTF bonds at 5.0%. 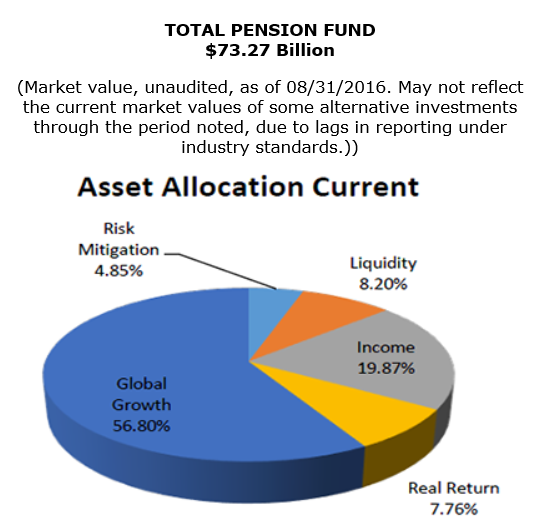 Â The pension fund needs a return of 7.9% to stay even. TTF bonds are not a wise investment choice for the state pension fund. One should consider Sweeneyâ€™s motivation in suggesting that the stateâ€™s pension fund invest in TTF bonds. Â Either he doesnâ€™t understand portfolio management, or he intends to sabotage the NJ pension funds. Â Another possibility is that he wants to make the political choice to borrow $12 billion for transportation projects easier to swallow. Â We could spend the gas tax a billion a year as it rolls in, or we could borrow and spend $12 billion immediately. Â That would please the stateâ€™s construction unions. Borrowing based on the gas tax income is a bad idea for reasons described here.